Our range of products include flat heavy duty springs, industrial flat springs and industrial flat coil springs. 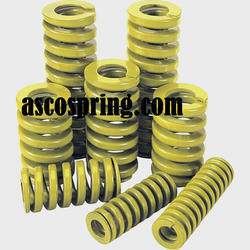 We also manufacture a qualitative and quantitative range of Flat Heavy Duty Springs, produced from superior quality raw material procured from our reliable and trustworthy sources.Our range of industrial springs are widely admired and appraised by our world spread clientele, owing to their great performance and long service life. We also deliver our assortment of springs in safe, secure and customized packaging services, preventing the products from all kinds of impurities and moisture.These are preferably used in various products such as switches, relays and disc. Flat Wire Springs are also used in varied appliances like switches, relays and dise, to keep them within the restricted area. Our spring wires are hugely appraised for their compatible, dependable and consonant performance.Based in Kolkata, we are a pronounced Flat Wire Spring Manufacturer and Supplier of India, catering to our clientele spread all across the globe. We are competently admired and preferred by our clients for providing them special customization services in accordance with their requirements and specifications, detailed by them.Various kinds of industrial springs are also available with us including Spiral Spring, Torsion Spring, Coil Spring, Leaf Spring, Volute Spring, Constant Force Spring, Industrial Spring and other Industrial Coil Springs. 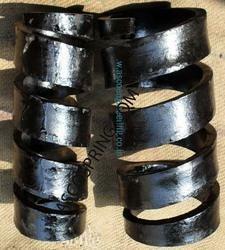 We offer an assortment of Industrial Flat Coil Springs. 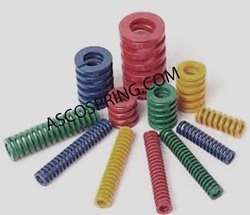 Flat Spring is manufactured in various specifications as per different industrial requirements. Specially designed under the strict supervision of our experts with the latest scientific technologies, these products are highly appreciated for their high durability, superior finishing and high resistance to corrosion. Looking for Flat Coil Springs ?